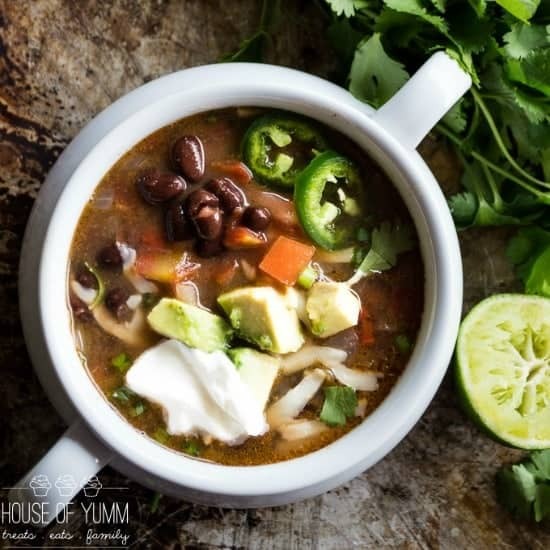 Black Bean Soup! 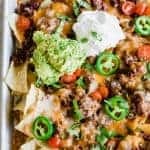 A 30 minute dinner idea! Quick, easy recipe. Vegetarian. Plus you can load it up with all the toppings! 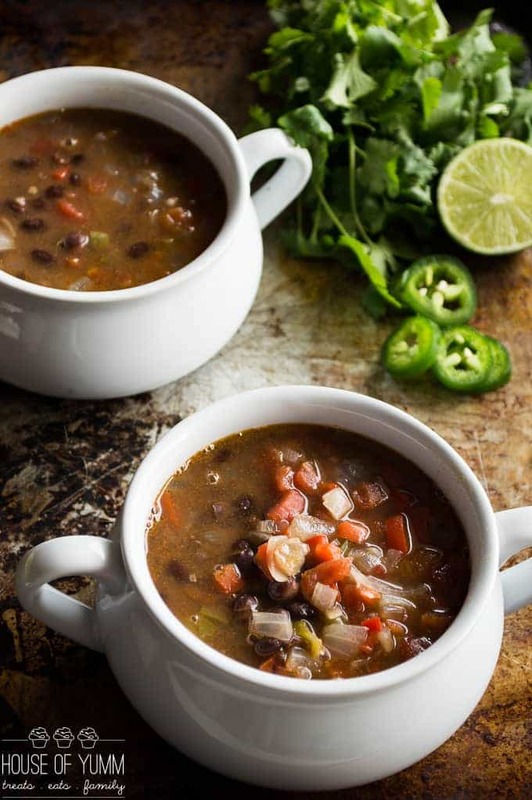 Black bean soup is simple, easy, and just downright delicious. Typically I go for the black bean soup for the toppings. I mean. C’mon. Avocado, tomato, sour cream, cilantro, cheese, some more cheese, jalapeño, and a little more cheese. 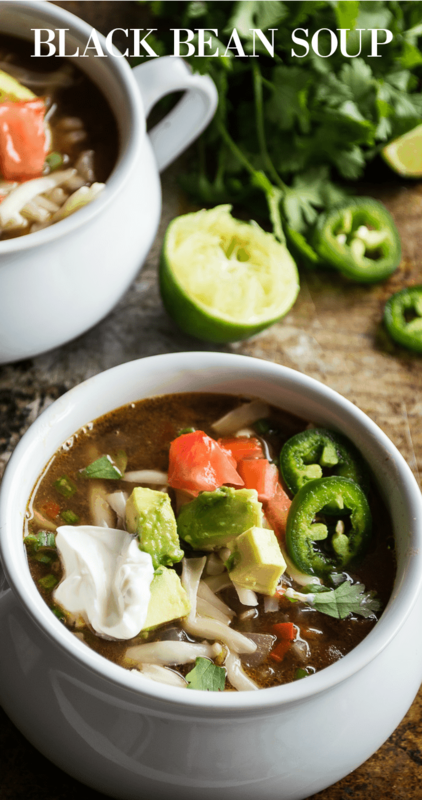 You guys load up your black bean soup too right? If not I think you’re missing out on the beauty of this dish. I’ve made black bean soup several ways. I’ve made it where it’s completely blended, which not having an immersion blender makes that quite the dangerous task. Transferring hot liquids back and forth to my processor is just not fun. So my preference is to just leave the beans whole. Mostly because it’s easier if I’m going to be honest with you. 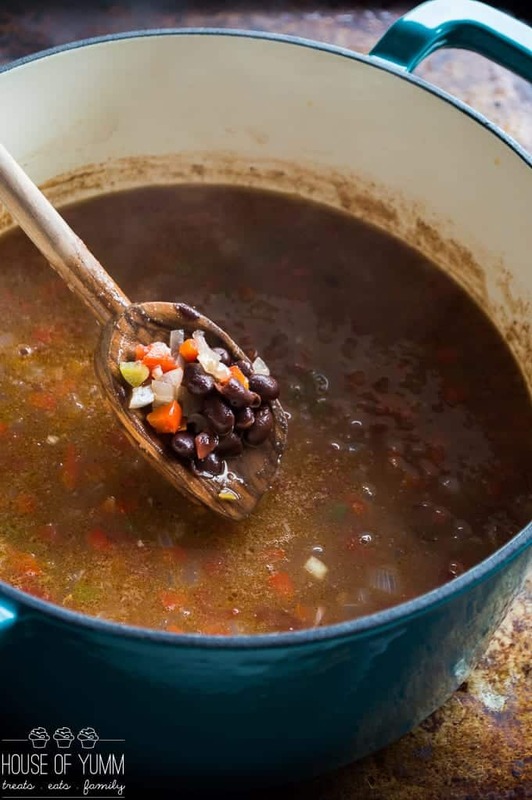 I do mash up one can of black beans to help thicken the soup. But for that I just use my potato masher. Classy. I know. 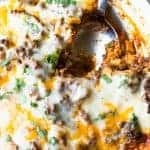 This is a quick and easy dinner for the family. It’s one of those things that I can toss together in about 10 minutes. Then let it simmer on the stove. Easy peasy. And thanks to the jalapenos and red peppers there is a little heat to this dish. You can add hot sauce to it as well. To add a little more. I don’t want to overdo it for the little ones in the house. Without the hot sauce it’s just the right amount of heat for my whole family. The 2 year old goes through about 4 bowls of this. No joke. No worries I will be back with more cookies for you next week. 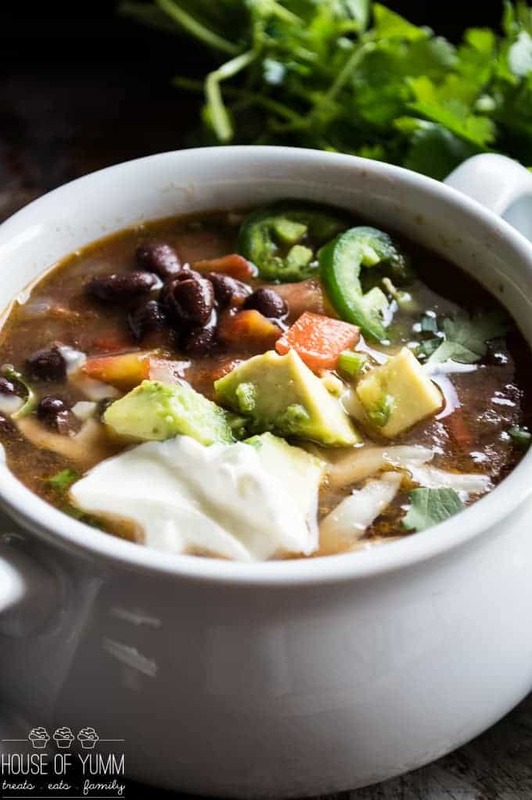 Black Bean Soup, loaded with fresh bell peppers, jalapeno, and topped with cheese, avocado, and sour cream! 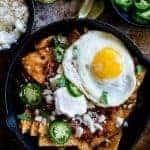 A quick and easy dinner idea. Vegetarian. 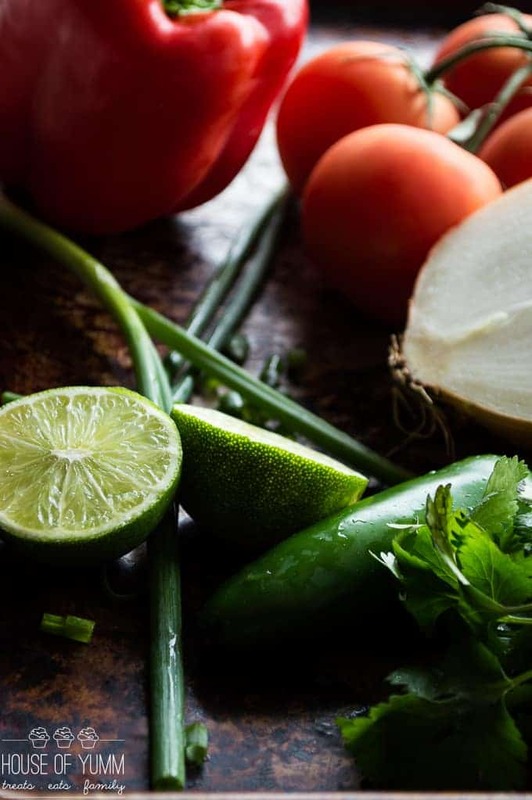 Full of flavors and spice! In large sauce pot or dutch oven coat the bottom with the olive oil. Toss in the diced onion, red pepper, and jalapeño. Cook for several minutes or until the veggies are softened. Add in the minced garlic and cook for another minute, the garlic will become fragrant. Pour in the chicken stock, diced tomatoes, and two of the cans of black beans. 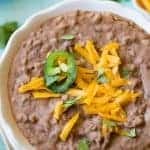 Add the other can of black beans to a medium size plastic bowl and mash up with a fork or potato masher. Add the mashed beans to the pot. Season with cumin, salt and pepper. Bring to a simmer. Cover and simmer for another 15-20 minutes. Serve, top with any additional toppings desired. Enjoy! This looks very savory and wonderful on a cold rainy day! This looks really savory. 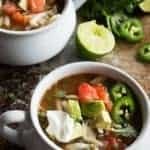 I love learning new soup ideas! I have always loved black bean soup. This looks so delicious and satisfying I just want to dive right in! This reminds me of the soup from Panera, which is my favorite by far! 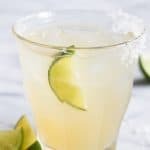 But I haven’t made it in forever…looks like I need too after seeing this delicious recipe! You must Meg!! It’s so easy 🙂 definitely one of my favorites. This looks so delicious and great for cold winter nights!